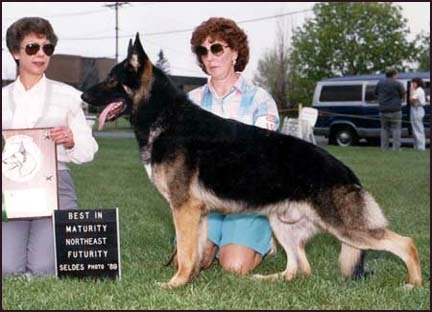 "... a deeply pigmented black and tan male of substantial size. Excellent sidegait and good extension in front and rear. He was balanced but could have had a better coat."